Wow, that Self Help Book Solved All of my Problems… said no one. Ever. 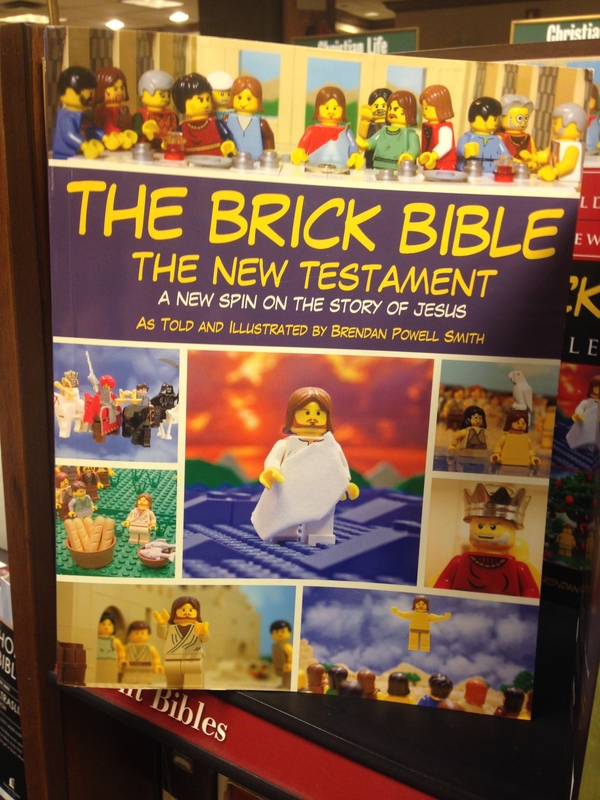 So, I was in Barnes and Noble the other day and wandered over to the Christian literature section. 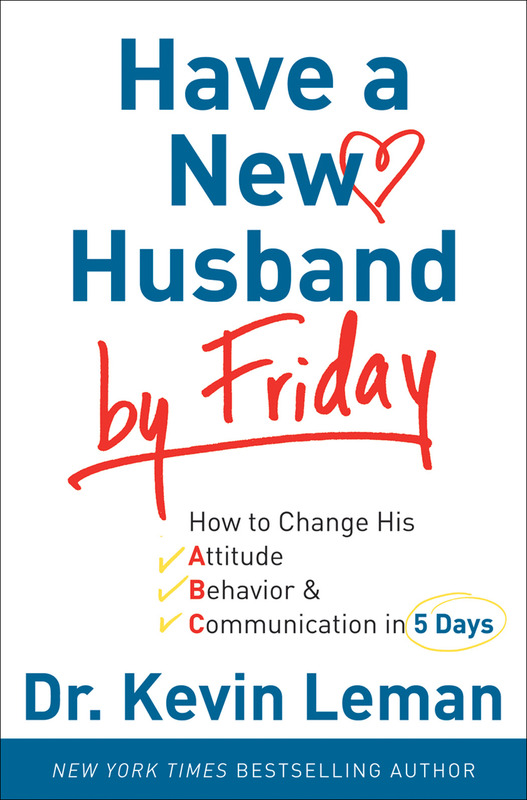 Mixed among the books on Christian Theology and classical works of our faith were titles such as Eat the Cookie…Buy the Shoes: Giving Yourself Permission to Lighten Up and Have a New Husband by Friday: How to Change his Attitude, Behavior, and Communication in 5 Days. 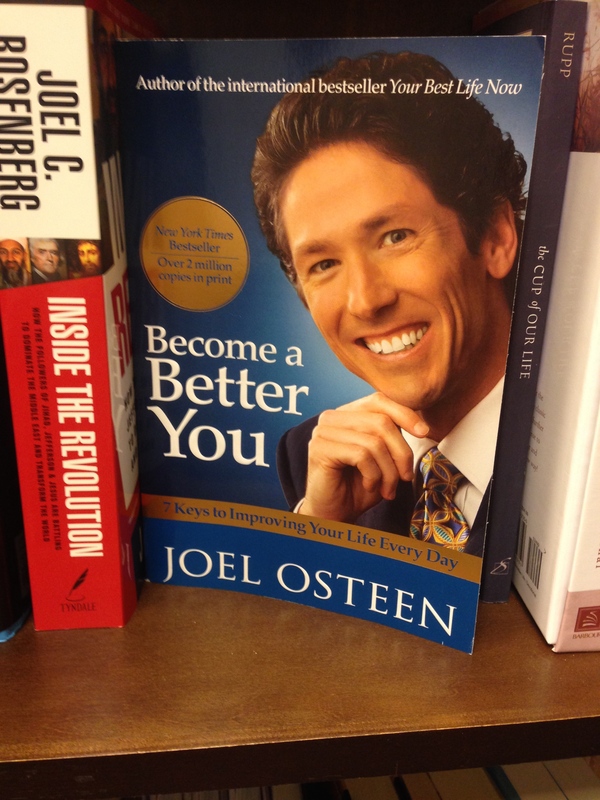 When did Christianity get demoted to a tool to use in America’s obsession with self improvement? When did we mistake the God of the universe for a means to achieve the American Dream of consumption, happiness, and material wealth? We become sedated by busyness and a constant barrage of noise from the media, that the trade for Abundant Living happens without our noticing. We believe the lie that the world doesn’t want a Jesus that is quite so scandalous. 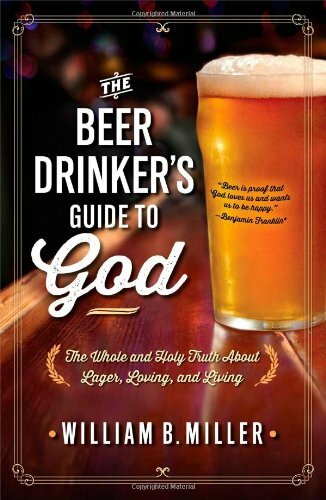 So we try to make him more hip by publishing books like The Beer Drinker’s Guide to God: The Whole and Holy Truth about Lager, Loving, and Living or the new Lego Graphic Novel style bible: The Brick Bible: A New Spin on the Story of Jesus. In a culture increasingly made up of more and more niche subcultures, publishers and the powers that be think that we need to market Christianity to all of these sects by tacking on our hobbies and interests to what might otherwise become Old News. That couldn’t be farther from the truth. The truth is that our hearts yearn for Something Real, for an identity that goes deeper than our temporary obsessions and outer personas. We long to find wholeness and security that lasts. And heaven knows we aren’t going to find that in a self-help book, no matter what banner it is under. When we stop and come to a place of honesty, we are weary and messy souls longing for a Savior. The word gospel literally means Good News. The kind of all consuming joy that floods your soul when you find out your loved one is cancer free, that you got the job, that the war is over… It’s Life-Giving. Anxiety-Relieving. Party-Inducing. The Gospel begins though, by telling us the truth about who we are: broken, messed up, sinful, helpless, in need of rescuing. Wait– how is that good news? That doesn’t make me want to dance. Hear me out— in the midst of your broken, messy, life-in-shambles ache– haven’t well intentioned people tried to comfort you by telling you that “You are special!” and “It’s all going to Work Out fine” and “You can do anything if you just believe in yourself and (insert some five step self-help process here).” And how has that worked out for you? In those moments of rock bottom honesty, those platitudes feel more like a slap in the face than anything. Because you’ve already tried to just Try Harder, and it doesn’t work. And sometimes it doesn’t work out fine. Because as humans, we have a tendency to screw things up. We know from experience that we cannot fix ourselves. And while it stings, there’s something relieving about hearing the truth about ourselves. Good news gospel tells us the truth about ourselves, but doesn’t end there. It proclaims that Someone perfectly loves us, even at our worst ugly moments and made a way for us to be Whole Again. To cast out all fear and to end all striving. Now that’s good news. And it’s not something you’re going to find in a cheap dolled up version of pop-culture Christianity. It’s a truth that has been proclaimed for thousands of years. It’s a truth that doesn’t need to be given an Extreme Makeover. Confession time: Fake and hypocritical Christianity does make my blood boil. I feel like I’ve witnessed so much hurt and damage done in the name of Christianity, and most of that is under the context of churches that feel more like Country Clubs and Christian truths that have been misconstrued in unloving legalism. So many people that I love dearly have been hurt by the church or disillusioned by the fakeness wafting from those that claim my same faith. Out of embarrassment and a deep desire to not be associated with a group that is seen as hypocrites and jerks, I confess that my response has been cowardly. I avoid conversations about faith, fearing that words that have been tainted with patronizing cliches and self-righteous arrogance will turn people away. So I have rationalized my wimpy inaction with St. Francis’ misused quote of “Preach the gospel, if necessary use words.” In wanting to make it clear that I am not “one of those Christians” I have often disowned the Bride of Christ. My actions, at the root have the same motivation as those who would try to market Christianity as “cool”. A fear of man and a desire to fit in. Well said. Glad you didn’t hold back, it’s powerful!